On September 27, President Akio Takahashi of the Japan Atomic Industrial Forum (JAIF) gave his regular press briefing. He first referred to the approval made the previous day, September 26, by Japan’s Nuclear Regulation Authority (NRA) of a review report finding that the Tokai-2 Nuclear Power Plant (BWR, 1100MWe), owned and operated by the Japan Atomic Power Company (JAPC), was compatible with the country’s new regulatory standards. He said that he expected the examinations of BWRs to proceed smoothly thereafter, using information and experience obtained at the Kashiwazaki Kariwa-6 and -7 NPPs, which were examined ahead of Tokai-2. The JAIF president then referred to the Hiroshima High Court’s lifting, on September 25, of its temporary injunction against the operation of the Ikata-3 NPP, owned and operated by the Shikoku Electric Power Co., Given that various legal challenges are still pending at other district and high courts, he said that he hoped that all the power utilities would “present their arguments appropriately,” implying the necessity for NRA’s technical judgments to be sufficiently understood by those courts. 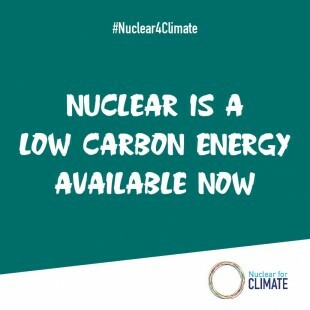 The International Atomic Energy Agency (IAEA) recently released its latest document entitled “Projections on Global Nuclear Power Capacity,”* in which it notes that low-case projections indicate that capacity will decrease in the period from 2030 to 2050. 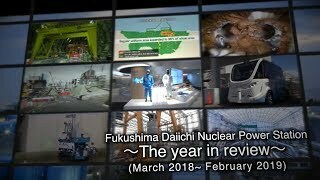 Saying that he himself had not gone deeply into the details of the projections, Takahashi pointed out that a factor in the projections was that many plants will be decommissioned. He noted, on the other hand, that some countries want to start using nuclear energy. Taking into consideration the instability of renewables and the importance of achieving Japan’s long-term target under the Paris Agreement of reducing greenhouse gas emissions by 80 percent by the year 2050, he said that it would be “difficult” for the country to rely on renewable energies and thermal power alone, emphasizing the need for Japan to continue using nuclear energy. During the following Q&A session, reporters focused on such issues as the NRA’s new examination system, which is to be operated on a trial basis starting next month, as well as cooperation between utilities and manufacturers in various nuclear businesses. Regarding the first issue, the JAIF president said that he was concerned about the tight schedule involved in fully starting the new examination system by FY20 (April 2020 to March 2021). He then talked about the utilization of probabilistic risk assessment (PRA), saying that he expected that it would improve safety.